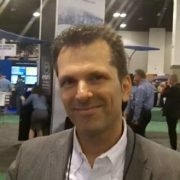 Nokia Networks announced an LTE “network in a box” (NIB) configuration that can be deployed to an incident to provide on-scene coverage and the ability to use applications—most notably, the Harris BeOn application that supports P25 voice interoperability and other key functions—without connectivity to the primary evolved packet core (EPC) for a larger public-safety network, like the one proposed by FirstNet. 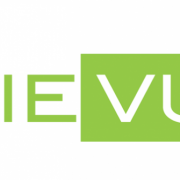 Steve Ward, CEO of VIEVU—the police body-camera maker that recently was purchased by Safariland—describes the company’s cloud-storage offering that leverages the Microsoft Azure platform in this conversation with IWCE’s Urgent Communications Editor Donny Jackson. 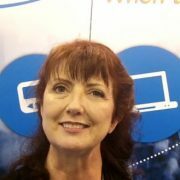 HipLink CEO and President Pamela LaPine demonstrates the ability for her company’s notification application to deliver notifications reliably on multiple device platforms during this conversation with IWCE’s Urgent Communications Editor Donny Jackson on the NENA 2015 Conference & Expo show floor in Denver. 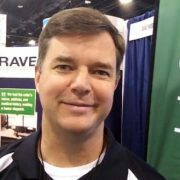 Todd Piett, Rave Mobile Safety’s chief product officer, explains how the company’s new Smart911 Location solution leverages commercial location data from assets like Wi-Fi access points can help PSAPs more accurately identify where first responders can find an emergency caller. Diamond Chaflawee, director of public-safety marketing and business development for NICE Systems, discusses the features of the speech-to-text-powered NICE Inform Audio Analytics offering during this conversation with IWCE Urgent Communications Editor Donny Jackson at the NENA 2015 Conference & Expo in Denver. 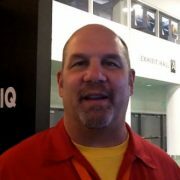 Erik Loberg, director of product management for TriTech Software Systems, details how CLQ—the company’s new 911 wireless location application—utilizes commercial-carrier network data to provide 911 personnel with a new method to determine an emergency caller’s location and an alternative means of communicating with the caller. 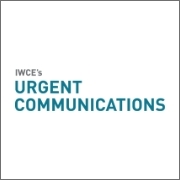 Loberg spoke with IWCE’s Urgent Communications Editor Donny Jackson during the NENA 2015 Conference & Expo in Denver. Six years after the first text-to-911 message was delivered to a public-safety answering point (PSAP) in Iowa, Intrado’s John Kearney reflects on the industry’s advancements in this arena.